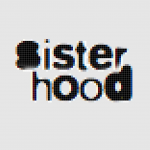 Halide Edib Adivar (1884-1964) - sister-hood magazine. A Fuuse production by Deeyah Khan. Halidé Edib Adıvar was a Turkish nationalist, novelist and feminist activist whose novels provided critiques of the status of women in Turkey between the end of the Ottoman Empire and the birth of the Turkish Republic. She grew up in Istanbul (then Constantinople) within an elite family, daughter of Mehmet Bey, a private treasurer to the Ottoman Sultan Abdulhamit II. She was educated by private tutors and at the American College for Girls, where she studied subjects including social sciences, philosophy and mathematics. She was one of the first Muslim graduates of this institution. In 1901, immediately after graduation, she married the mathematics teacher at her college, Salih Rıza Bey, with whom she had two sons. 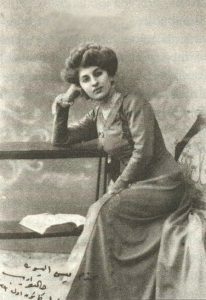 By 1907, she had begun to publish her first articles on women’s liberation in the publications Tanin, Aşiyan, Resimile Kitap and Demet. A year later, the Ottoman Empire was declared a constitutional monarchy, ending over thirty years the Sultanate. Just a year later she was forced to flee Turkey when a conservative government gained power. In exile in England, she developed an enduring friendship with educationalist and feminist Isabel Fry. In 1910, she divorced her husband, who had sought to take a second wife against her wishes. 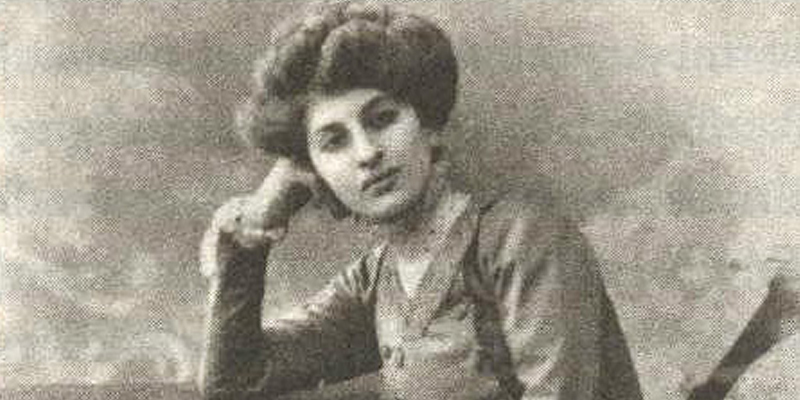 In 1912, Halidé was the first female member within the Türk Ocaği Ceminyeti (The Turkish Hearth), an important nationalist organisation. The end of World War I in 1918 triggered a social and political crisis in Turkey. In 1919, Halidé was the first woman to address a mass meeting, where she publically criticised the occupation of İzmir by Greek forces. The Allied powers were disputing former Ottoman territories, and Turkish nationalism arose to mobilise opposition to foreign occupation, culminating in the declaration of the Turkish Republic in 1923. During the Turkish War of Independence (1919 – 1923), she served as a nurse to military units, and a press agent to Mustafa Kemal, who was later to become the first president of the Turkish Republic. In recognition of this service, she was given the honorary rank of sergeant. The Turkish Republic was envisaged as secular and egalitarian, in tune with European modernism. The question of what role women should play in the forming of this new state, and what the ‘new’ Turkish woman’s identity would be became a central debate. This debate, although frequently male-dominated, also served as a vehicle for feminist demands, initially demonstrated through a growing number of women’s organisations and publications within the country. In 1918 she remarried, choosing Adnan Adıvar, politician, writer, historian and medical doctor who founded the opposition party in the early days of the republic. However, in 1925, this party was closed under the accusation of ‘using religion for political purposes’. The Adıvars went into voluntary exile from Turkey. Halidé’s vision of a tolerant secularism was not in accord with the spirit of the time. On her return to Istanbul in 1939 after the death of Mustafa Kemal, she was appointed professor of English literature at Istanbul University and later a Member of Parliament (1950–54), where she was one of only three women amongst 491 men. She lectured in the UK and Turkey, and even in India, at a lecture attended by Gandhi, who praised her opinion that nations needed to be built in a spirit of tolerance to religion. Over her career, she wrote twenty novels and memoirs. Her best known work of fiction outside Turkey, The Clown and His Daughter, was first written in English and later rewritten in Turkish as Sinekli Bakkal. It was the first novel by a Turkish writer in the English language. This novel features Tevfik, a male actor playing female roles, and his daughter, the singer Rabia. It depicts the history of the decline of the Ottoman Empire through the changing worlds of folk artists. The novel was awarded the Republican People’s Party’s prize for best novel in 1942. The book won international fame and went through 25 editions. Her writing is still read in Turkey today and is considered part of the literary canon of the nation. Her discussions of the new understandings of love, marriage and family documented and commented upon a period of intense political change, depicting Muslim women negotiating the challenges of a modernising Turkey: often those who challenged sexism within a paternalistic society.